Experience the joy of learning at OLLI at WVU! 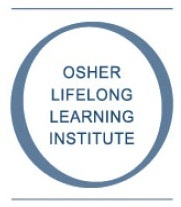 The Osher Lifelong Learning Institute at West Virginia University, known as OLLI at WVU, provides programs and educational opportunities designed for adults 50 and over. Click the Register Here button to renew your membership or register online for current term courses. When Monongalia or Kanawha County Schools are closed for inclement weather, there will be no OLLI classes held in the respective county. Two hour delays will not affect OLLI classes. We observe WVU holidays. The Osher Lifelong Learning Institute at West Virginia University, known as OLLI@WVU, provides programs and educational opportunities designed for adults 50 and over. OLLI at WVU is a membership organization, affiliated with the School of Public Health at WVU, that recognizes the unique experiences, capabilities, and wisdom of mature members of the community. OLLI at WVU emphasizes the sharing of ideas through peer learning, member participation, and collaborative leadership. During four terms each year, OLLI at WVU offers courses, lectures, seminars and field trips in such areas as music, literature, art, science, politics, nature, history, health, medicine, and economics. Live drama, movies, and special interest groups add to the choices. Courses are developed and taught by volunteers from the community who are passionate about their topics, avocations, and interests, and love to share their ideas. Free from the pressures of tests and grades, this is learning simply for the joy of it.